Welcome to Chocorua Camping Village KOA! 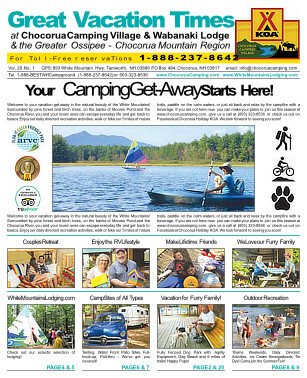 Chocorua Camping Village KOA, a national award-winning Holiday Park, continues to improve every year. The dedication of the owners, managers, and staff keep our guests coming back year after year. 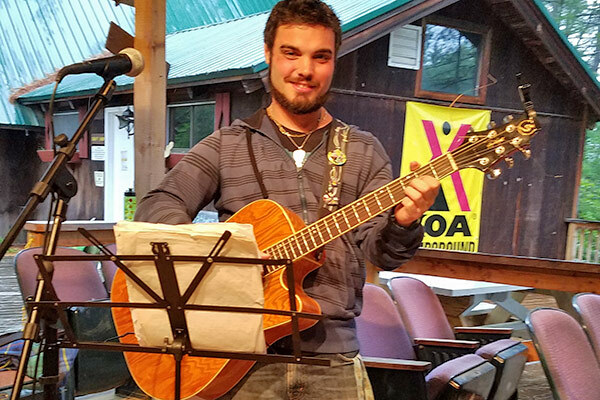 Chocorua KOA now has 150 wooded sites, 16 on-site rentals, Camp Store, 2 bathroom facilities, laundromat, a full recreation schedule, 5 miles of nature trails, swimming pool, beach, store, Rec Hall, game room, large dog park with day kennels and the most incredible, friendly staff you’ll ever meet! Make this summer a standout one! Come join the family tradition of Chocorua Camping Village! 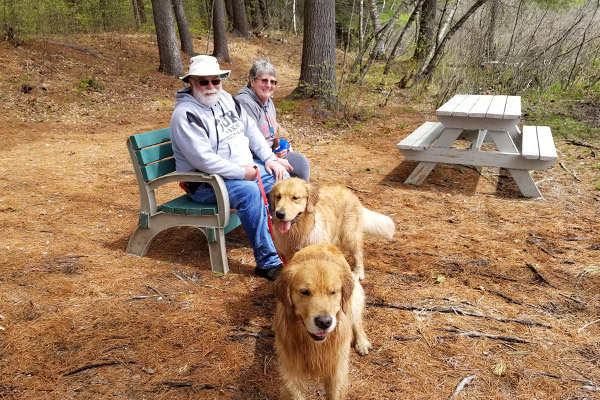 Family owned and operated for over forty years, Chocorua Camping Village KOA has grown and developed naturally with the times. 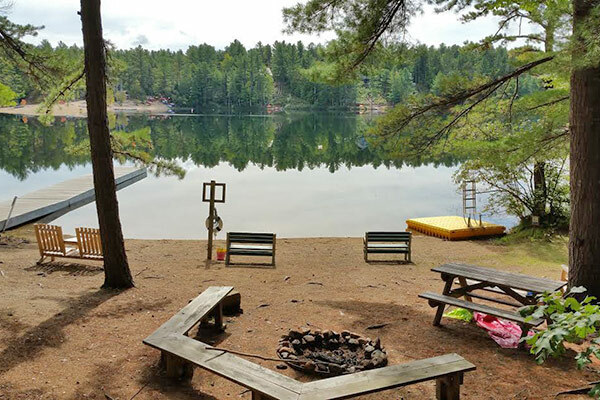 We provide camp-wide WiFi, dance parties, movie nights, and learn-to-paint workshops, and yet, at the heart of our Holiday Park are the acres of explorable wilderness, the serene motor-free Moores Pond, and the ease of a people’s-choice vacation destination. The early 1970’s brought a young Spencer clan to the Tamworth area. Lee and Shirley Spencer had heard through family rumors that the land and lodges of Wabanaki were up for sale. Having spent memorable summers at the pond side cabins, the Spencers purchased the lodges and undeveloped property from Lee’s Uncle Ed Hayes in 1973. With a 1969 CASE tractor, Lee started the gradual and continual process of road and site construction, keeping the natural environment intact as much as possible. A series of bridges were built to access the community of Wabanaki Lodge. Chocorua Camping Village opened up to the public with 10 sites and a comfort station (bathroom facility) in 1975. While Lee designed and constructed the Rec Hall and Camp Store, Shirley, a 6th grade teacher, spent her summer breaks working the office, maintaining the cabins, and creating the business infrastructure of Wabanaki Lakeside Vacation Corporation. Together, with family and staff they have created over 40 years of family vacation adventures and memories. 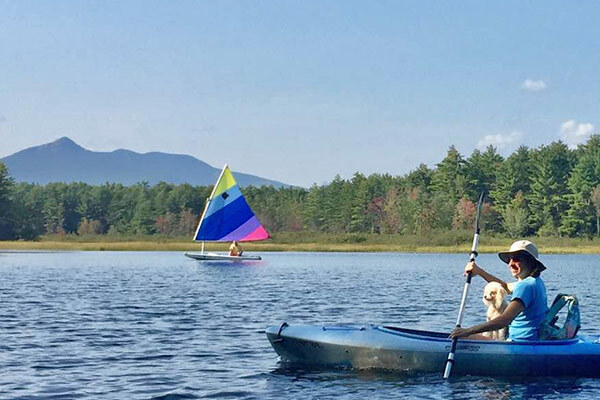 Chocorua Camping Village has a long tradition of welcoming well-behaved pets and their responsible owners. For many years the campground was presided over by Keebler, the Spencer family’s Portuguese Water Dog and CCV mascot. Keebler is now chasing chipmunks in the great beyond, but his memory lives on, and we dedicate this corner of the website to him. 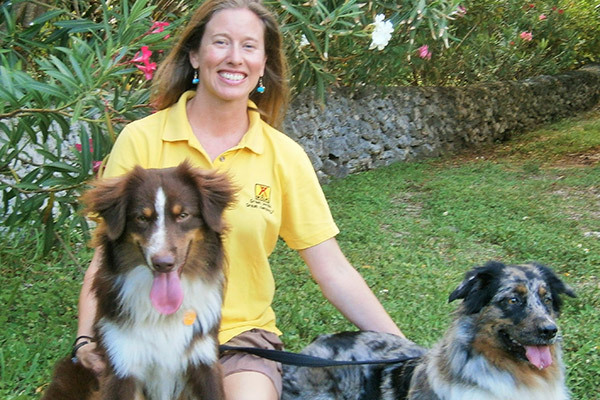 Minnie and Bentley, the family’s Australian Shepards, now carry on for Keebler as the park mascots. We are a very pet friendly park and offer accommodations to make it easy to include your furry family member in wonderful family adventures! You'll find a large Dog Park area with agility equipment that’s fully fenced and ready for dogs to run and play! Our staffed Doggie Day Care Kennels are available 8am - 6pm daily if you want to board your pup during the day while you explore the local area (Fee for Service). Our dedicated doggie swim beach is just over the third foot bridge. There, your furry friends can run and swim to their delight. 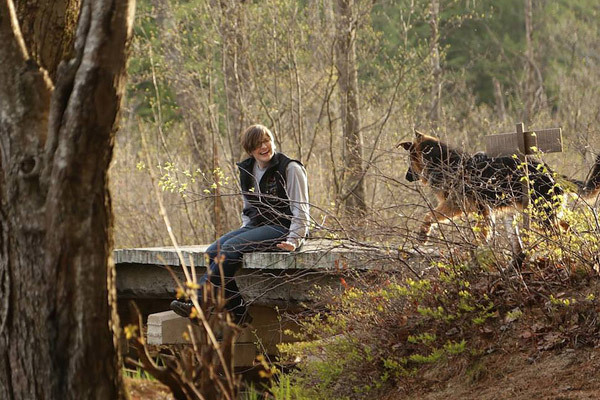 And with five miles of nature trails, you and your pet can explore the wonderful woodlands along the Chocorua River. You may click here to read our Pet Policies.